I am a qualified Nutritionist BHSc (Nut Med) and have my own business Naturally Nina Nutrition where I work one-on-one with clients, both in-person and all over the world via Skype, doing nutrition consultations and personalised meal planning. 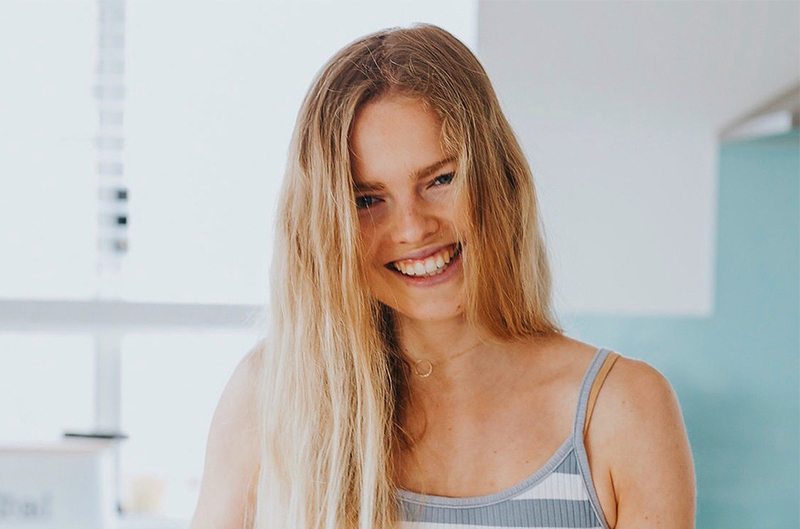 I work with a whole variety of different people with different nutrition and health goals, conditions and backgrounds, but I specialise in eating disorders, sports nutrition and plant based diets - areas which I am super passionate about! I also have an Instagram page @naturally_nina_ and website www.naturally-nina.com where I share my journey, knowledge and plenty of recipes, and often work together with brands that align with my values in recipe development and content creation. My aim is to educate, inspire and empower others into becoming a healthier and happier version of themselves, through nourishing their body, mind and soul. I really love what I do and it’s something I am incredibly passionate about! My weekends usually begin with training (I’ve also been an athlete and it’s another area I’m super passionate about), after which we all have breakfast/coffee together. Then I’ll spend the day outside as much as possible - taking the dog for a walk, going to the beach with family or friends, going to the markets, as well as cooking some delicious food! My go-to quick meals are definitely ‘Nourish Bowls’, which are basically colourful bowls of all the veggies and leftovers I have in the fridge at the moment! My favourite combination at the moment is leftover roasted pumpkin and sweet potato, avocado, a bunch of different colourful raw veggies and homemade falafel. Training is my form of therapy. Even when I’m feeling tired and in a low mood, going to training, moving my body and hanging out with my friends there never fails to get me feeling on top of the world, empowered and energised! Also there’s almost nothing a walk outside in the fresh air with a good podcast can’t fix! This is a hard one! But I think the thing I want to focus most on is not putting things off and thinking I still have plenty of time to ‘start tomorrow’ or ‘wait until I’m ready’. The truth is that tomorrow never comes and the small changes we make today and every day are the exact things that are going to lead to big changes in the long run. We never truly feel ‘ready’ for anything. Sometimes you just have to go for it and trust the process. Out of our comfort zone is where the magic happens! Checking in with myself on a regular basis on whether my thoughts and actions are leading me to where I want to be, and if not - doing my best to change them so they are! Writing things down really helps me with this, especially breaking down my goals into those little steps I can make each day that will bring me there, instead of making them seem huge and scary. Just being more mindful is a big one!